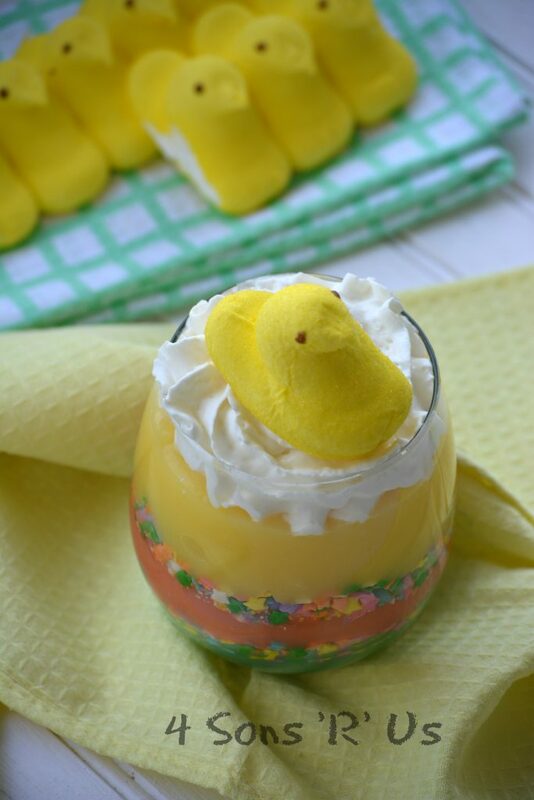 Pudding and PEEPS. It’s literally the perfect Easter treat. Colorful layers of vanilla pudding, separated by sprinkles are topped off with a fluffy layer of whipped cream with a fun marshmallow Peep on top. 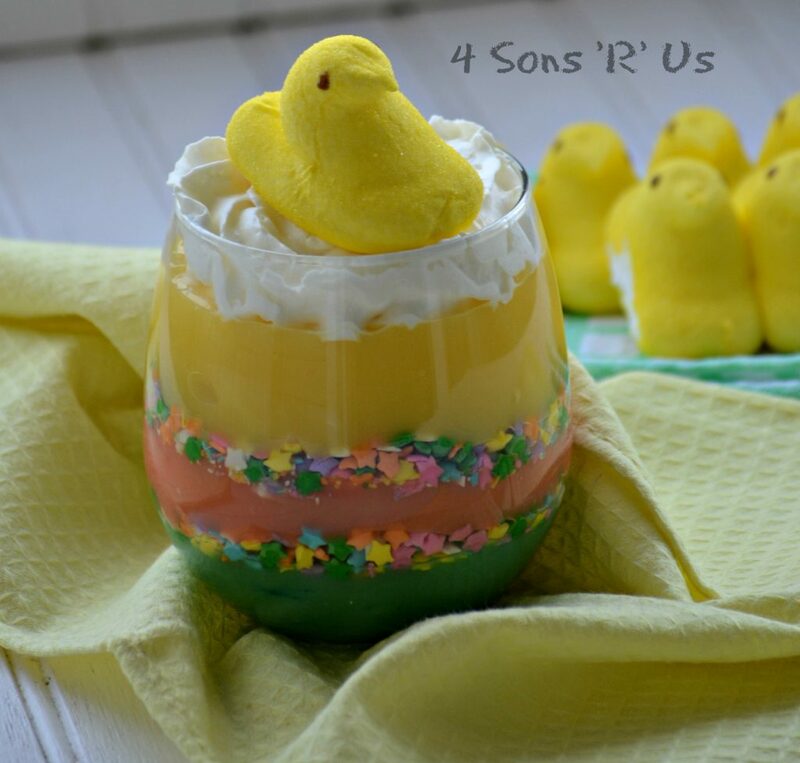 And these were an especially favorite dessert in the lead-up to Easter specifically because they incorporated PEEPS, which the kids love. And again, whether it’s a love ’em or a leave ’em for you, you can’t deny how simply ‘fun’ they are. Prepare the pudding following the package directions. •Divide the chilled pudding into equal amounts between three different cups or bowls. Add a few drops of food coloring and stir, until the desired paste; color is reached. Repeat with a different color for other two cups. Pour in a layer of sprinkles and spread out evenly over the first pudding layer. Repeat those steps for each of the other 2 pudding colors. Top with a generous dollop of whipped cream and place a Peep on top before serving immediately. These are so stinking adorable Meaghan!! Ugh my kids would love this! Thanks, Alli! I thought they were cute too, although the cuteness factor was lost on my older kids– but all agreed they were super yummy snacks. They really are very cute! So many cute things to make, so little time! Your pudding cups look delicious and cute! Thanks for linking up with me for Friday Favorites. I’m featuring you this week.